Even though we, understandably, are in favor of solar, everyone should be aware of all the disadvantages of solar energy before committing to anything. Installing solar panels on your roof will save you money in the long run, but it’s not a cheap purchase upfront. Depending on which company you go with, it can cost a pretty penny, and is hard to figure out without input from companies and their quotes. Rebates and tax credits can help reduce the cost, but unless you’re saving up for this, it can be a huge detriment to someone looking to install solar. That said, solar prices have considerably dropped the past few years: the cost of a solar panel today is about $0.65 per watt, compared with $0.74 per watt a year ago and $4 per watt in 2008. If you read a lot about the solar industry you will often hear of efficiency records being broken. There is a lot of misunderstanding about what efficiency is. It is not as if a solar panel with 15% efficiency is just not working very hard. It’s easy to start to think that the ideal is supposed to be 100%. But in fact, efficiency is simply about how much space it takes to produce the power. A 250 W panel with 15% efficiency makes the same power as a 250 W panel with 20% efficiency. The difference is the size. The more efficient panel will simply be smaller. Higher efficiency is very important in powering small electronics because of the space issue. But a roof is generally large enough to make enough power for the average household use, so for rooftop solar it only comes into play when roof space is tight. More efficient panels are generally more expensive. Related: Why Are Solar Panels Inefficient? Before going solar you have a one-way connection to the grid. When you go solar, you create a two-way connection, meaning you both consume and generate power. Since most people are away during the day when solar is producing energy, and home at night using power, the typical home will draw some power back from the grid when you need it just as you do now both day and night. Power produced during the day is in essence ‘stored’ in the grid. In rare cases it makes sense to get a battery backup system. Currently adding a battery backup system can add tremendous cost to the solar system (think $10k+) and doesn’t make sense unless it’s crucial. If you choose to have your own battery backup with your system, your system and your battery would be sized so that you are 100% self-sufficient. Solar panels work just fine in ambient light and will produce significant energy in the fog or on overcast days. In fact, solar panels are actually more efficient at cooler temperatures than hot ones. Although this might seem counter-intuitive, consider that solar panels on a rooftop in cool, foggy San Francisco produce only one percent less electricity than one in nearby Sacramento, where it’s sunny and hot. Consider too that Germany leads the world in residential solar right now, and doesn’t have a sunny climate. Related: Do Solar Panels Work on Cloudy Days? When you move, the solar leasing or contracting company will simply arrange to have the lease or the PPA switched to the new owner. Since the new owner will be continuing to pay less for their electricity than if your house didn’t have the solar system reducing the utility bill; they have no reason to want them taken down. The larger solar leasing and contracting firms have specialists on staff to work with realtors and home inspectors and title agents to ensure the transfer is straightforward. They can even educate realtors on the lifetime value of the lower electric bill and let them view the monitoring that shows how much is being saved. Realtors already know that home buyers understand the value of a good neighborhood public school, because that lowers education expenses over time. Similarly, a lifetime of lower energy bills has the same kind of long-term value for a potential buyer. If for any reason, you prefer to take the solar system and take the lease or contract with you, that can be arranged too, but there would be a de-installation and re-installation cost of course in that case. A study from Stanford researchers says that all the solar panels installed around the world produce enough energy to make up for the energy it took to make them. 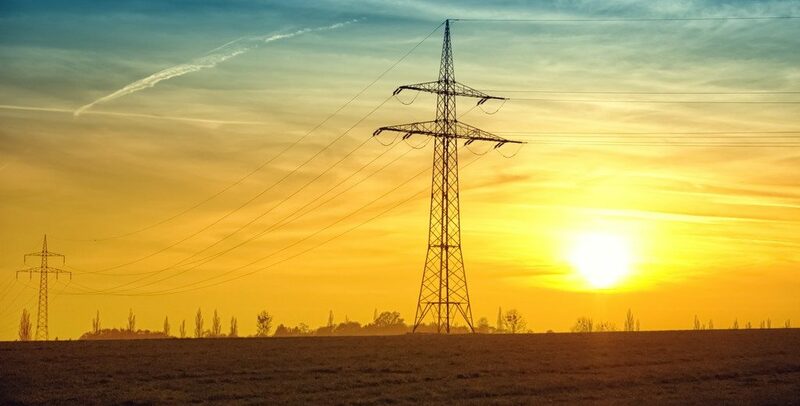 The future looks even brighter, according to the study, with researchers projecting that the industry will be generating enough power between 2015 and 2020 to offset all of the historic creation costs. Their full results were published today in the journal Environmental Science and Technology. The fact that it is possible, even today, to recycle virtually all of a PV panel is not widely known. New products can be made of the recycled glass, aluminium, copper and plastic. Solar has a useful life of half a century, and is such a new industry that we’ve yet to see much end-of-life recycling, but it is a responsibility that must be addressed as time goes on. Related: Recycling Solar Panels It’s time to think ahead! Again, we’re a bit biased, but we think there are plenty of great reasons to support solar. We’ve written all over the site about the advantages and disadvantages of solar energy, and here are a few highlights. #1 Solar saves you money. That’s right, adding solar photovoltaic panels on the roof of your home is going to save you tons of money. On average over 20 years, you’re likely to save up to or over $20,000, and even more if you live in particularly sunny or populous states where energy costs are higher. If you live in Hawaii, project savings are nearly $65,000! #2 Solar can earn you money. Recent reports indicate that homebuyers are willing to pay a premium for homes that have already installed solar panels. That means if you install rooftop panels on your house now, and decide to sell in a few years, your home could see an increase of up to $22,000! #3 Solar offers energy reliability and security. The sun goes up, and it goes back down, every day. Even with cloudy days, you’ll still experience enough sunlight to gather enough energy to power your house. And because the sun belongs to everyone in every corner of the globe, it can’t be monopolized. One day, there may be a monopoly on solar energy companies that create panels or sell back energy to utility companies, but you can’t patent the sun. Thus, your energy is safe and secure so long as you’re able to capture it. You essentially become an independent source of electricity, giving you energy independence! #4 Solar power creates jobs. As a source of energy, solar power has been steadily — even exponentially — creating jobs. The money invested into solar power creates new jobs in manufacturing and construction, along with research and development. Plus, an annual $150 billion clean-energy investment would generate a total of about 2.5 million jobs, according to the Political Economy Research Institute at the University of Massachusetts. By contrast, spending the same $150 billion within the fossil-fuel industry would produce about 800,000 jobs. #5 Solar power helps us build an environmentally friendly future. Solar panel systems, when used efficiently, allow us to produce electricity without contributing to pollution. By investing in solar, the world over is investing in clean energy that will help reduce the negative effects of traditional energy and offer long-term benefits that help fight climate change. What do you think gives solar the advantage? What makes it less beneficial compared to other clean energy? Tell us in the comments!